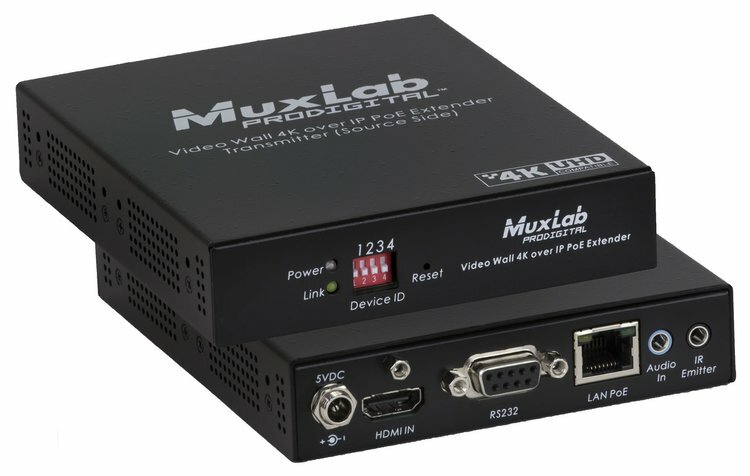 Muxlab 500759-TX är en sändare för att skicka HDMI 4K UHD över ett nätverk. Både sändaren och mottagaren är designat att arbeta med en PoE ethernet switch. Om man inte har en PoE switch så krävs det separata strömförsörjare (500993). 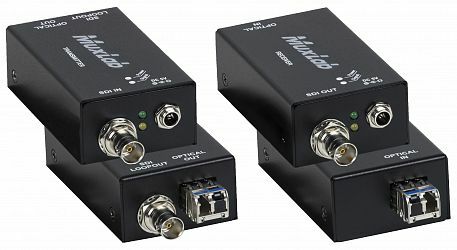 The Video Wall 4K over IP PoE Extender Kit allows HDMI equipment supporting up to 4K @ 30Hz or 1080p at 60Hz resolution to be connected and extended to create a Video Wall of user configurable size (X by Y) supporting 100’s of screens, depending on network bandwidth, utilizing one Receiver for each display in the array. Each Transmitter (500759-TX) and Receiver (500759-RX) can be connected via Cat5e/6 cable up to 330ft (100m) from an Ethernet Switch. The Transmitters and Receivers support PoE (PD) and may be powered by a PoE (PSE) Ethernet Switch. The kit comes with one (1) Transmitter and one (1) Receiver. The IR Emitter and IR Sensor, if required, may be purchased separately for IR based remote control applications. 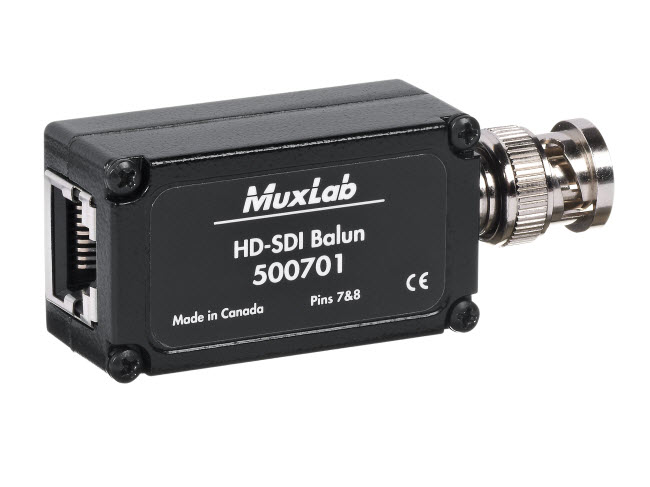 The MuxLab Pro Digital Network Controller (500811) is available to simplify configuration and control and allows for third party smartphone and tablet management.